I'm 24, and I love my wrinkles. There, I said it. I can probably guess that some of you are sitting there gawking at the fact that at 24, I even think I have wrinkles and that I 'don't even know what a wrinkle is', right? Well, my friend, you might be wrong there. I have noticed, for as long as I can remember that I have a furrowed brow and more noticeably, crows feet. I adore my crows feet! Most people my age would seriously hate to see wrinkles but for me, they are something I associate with the most treasured and loved people in life. Summers spent in the sun, screwing my eyes against the white hot heat whilst running through the fields and overgrowth have caused mine, I think. Those wild summers of my childhood were spent with family in various countries, and always with my parents or grandparents. 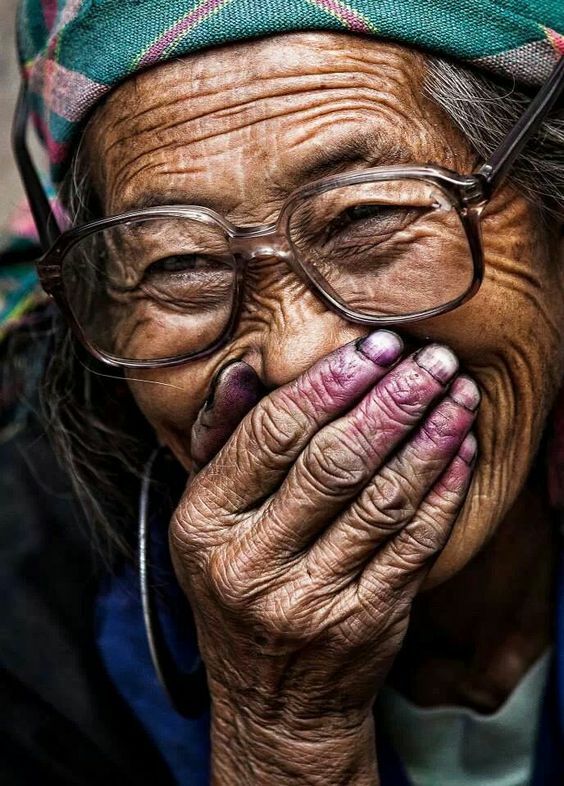 Their laugh, smile, frown all equate to wrinkles. I remember looking at my mother as a young girl and seeing the age spots and crinkled skin on her hands and thinking it was the most perfect skin I had ever seen. The translucent, papery skin of her hands was beautiful because it was her. In the same thread, my father has spent his entire working life outside in the elements, and his face reflects that. Rosy, rounded cheeks give way to wizened temples and forehead. When I look in the mirror and see the crinkled corners of my eyes, I never fail to smile. I like the way my eyes turn into little slits when I smile, surrounded by my hooded eyes and chubbier-than-I'd-like cheeks. I want my children to see me as a person who smiles, who frowns when they'er concentrating, and whose eyes disappear when they laugh. I want them to see the beauty in the human body, age spots and all. So, I'm 24, and I have wrinkles. That's ok by me.